"And as the primeval tribes gathered to stare into an open fire at night hoping to see a glimpse of something, so do we stare at our various screens, hoping for the same." From February 4 to March 19 London based Tenderpixel gallery hosts the group show Feeling In The Eyes, curated by Stella Sideli, with artworks by Nina Beier, Rustan Söderling, David Ferrando Giraut, Will Kendrick and Seth Price. In this diary Rustan Söderling tells us how his 3D animated video Fire Gazing (2016) came about. 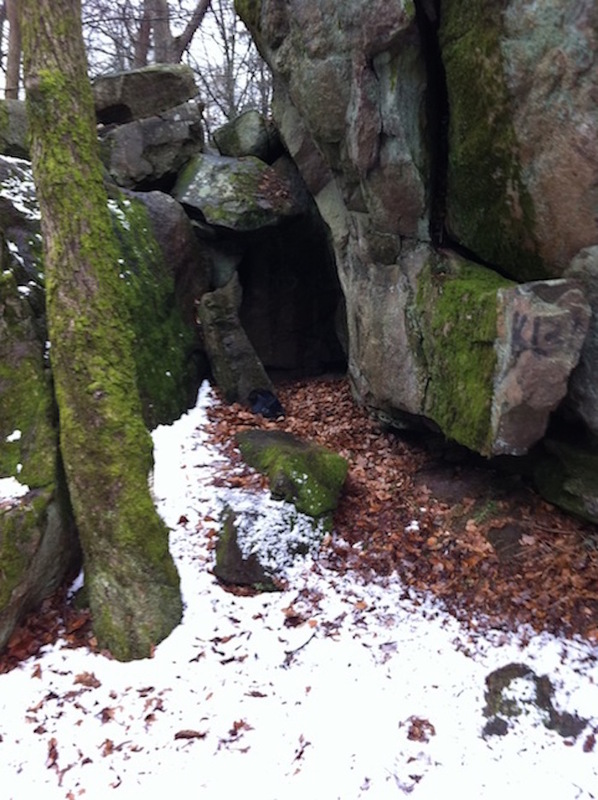 These are photographs I found online of a cave behind my parents’ house in the suburb of Fräntorp (Google translates this as the slightly ominous Acrid Croft), Gothenburg. As kids we used to call it the Skull Cave, I don’t know why, it doesn’t resemble a skull in any way. I suppose Pirate movies like Treasure Island (1990) —starring Charlton Heston as Long John Silver—had an influence. 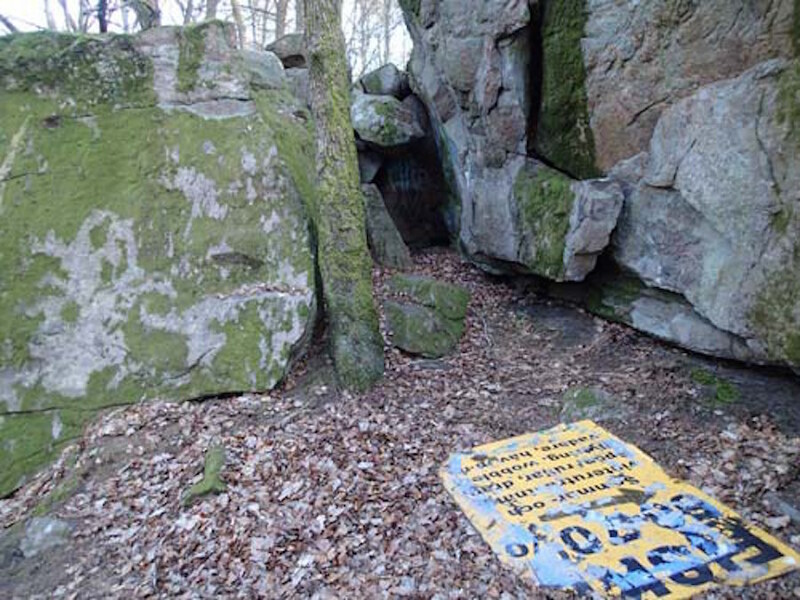 Skull Cave is situated on a hill called Valåsen (Google translates this as the way to epic-sounding Whale Ridge), which is named after the supposed whale bones found there. If this sounds overly romantic or thrilling just imagine a myriad of the same multi-coloured boxy villas surrounding the whole area and it becomes a lot less The Goonies (1985) and a lot more middle-class suburbia. The area is affectionately called “The Doghouses” by the city folk. During a visit last fall I made an attempt to produce a 3D scan of Skull Cave, either for purely nostalgic reasons by giving me the simulated ability to return anytime I wanted.  Or (as I would like to believe) for a potential project that just hadn’t fully formed in my mind yet. However, I quickly realized that it was way beyond my skills and resources. What came out of the other end were these blotchy incoherent pieces that didn’t resemble the place at all, neither structurally nor evocatively. And having neither the time nor the patience, I decided to scan some of the less sophisticated rocks that were faffing about on the hillside. A few months later I was back for the annual Christmas celebrations and while on a wintery walk over the hill on my way to the tram I was struck by this very strange feeling of familiarity. 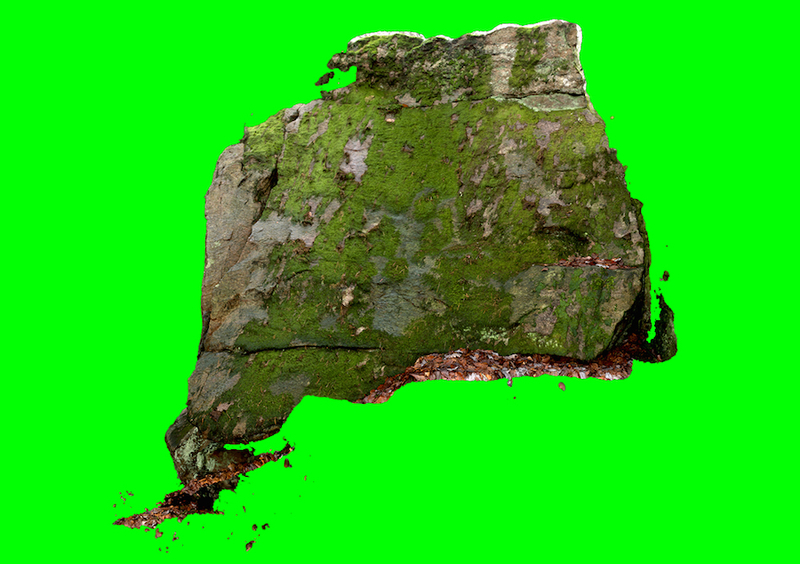 It wasn’t the sense of nostalgia that usually strikes when visiting childhood settings; it was a strange recall to the stones I had 3D scanned months earlier and subsequently stared at on the screen for days on end, from every possible angle. It was as if they had escaped their pixelated existence on my computer and found their way into the physical world and then placed themselves on the path they knew I always take on my way to the station, just to mess with my head. A couple of days later my aunt and cousins came over to the doghouse for Christmas festivities. During late-afternoon drinks of calvados and julmust (a seasonal Swedish soft drink similar to root beer) my aunt told us a recent anecdote, the following is my retelling of her story: My aunt lives on Avenyn (The Avenue), which is the central boulevard of Gothenburg. A couple of days before Christmas eve she had stood by a window in her apartment, presumably with a glass of white wine in one hand, looking down on the busy shoppers down bellow. Then, suddenly, she caught a glimpse of something in the big office building across the street; flames behind a curtain. She quickly phoned up the fire brigade and a few minutes later heard sirens coming up the street. They connected her to the fireman on the ladder and she guided him up the house façade like some vertical game of Frogger. 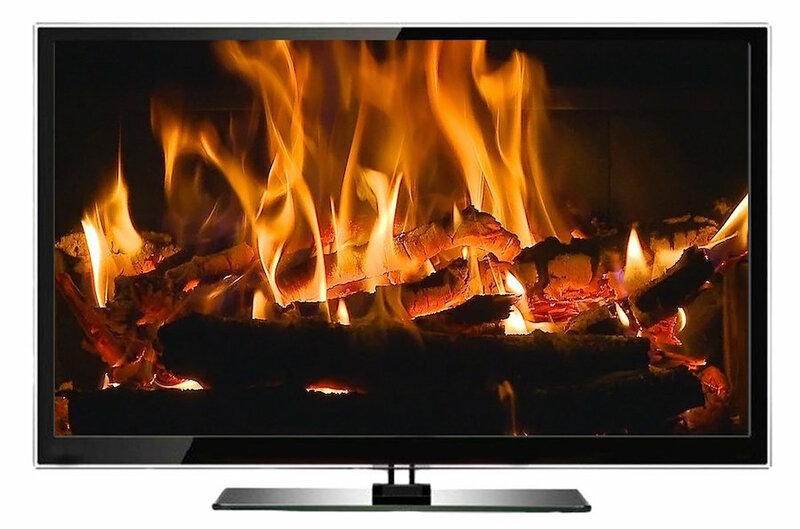 Once he got to the right window—ready for action, axe in hand—she suddenly heard his voice on the other end: “oh… its one of those fake fireplace DVDs”. We all laughed of course, but I immediately had the same feeling I’d had a few days earlier with my escaped digital stones. The fake heatless fire on that DVD had reached out into the physical world and altered it, probably costing the government a couple of thousand real Swedish Kronor while doing it. The next mystery is of course why someone would leave on a DVD with a fire in his or her office for absolutely no one to see; maybe it was for the cleaners or it was an elaborate practical joke on my aunt, or office gnomes? A hundred years ago Valåsen was used for illegal stone mining and some of the streets in Gothenburg are paved with its stones. Many of the miners made the hill their temporary home and they mostly got paid in home brewed moonshine. These days the hill is covered in piles of the jagged stones left behind from their dynamite-infused drunken benders. All the digital stones and fires from the last couple of weeks brought to my mind an old campfire site on the summit of the hill, built with these drunken leftovers and now used by teenagers as a hangout. In the spring and summer the place is usually littered with the tell tale signs of cigarette buts and beer bottles, not moonshine though. 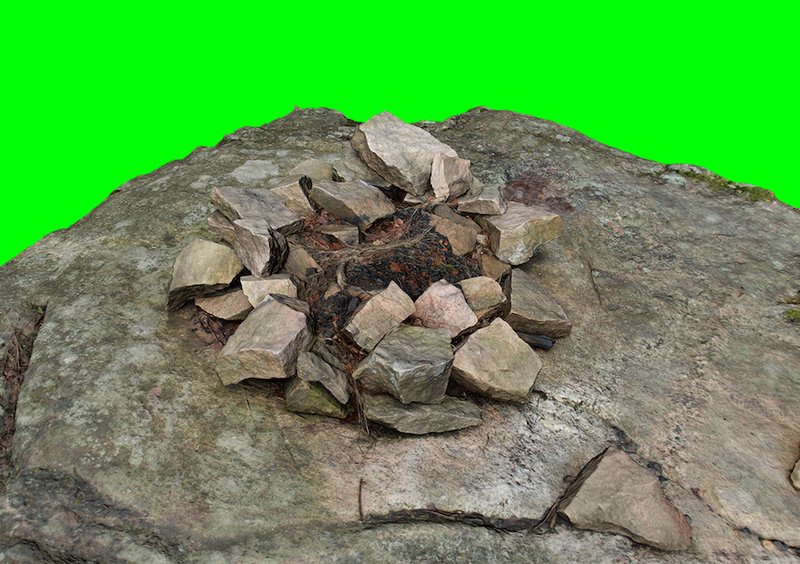 Over the next couple days I went up and 3D scanned both the campfire and its surroundings, embalming the site in the tomb that is my laptop. 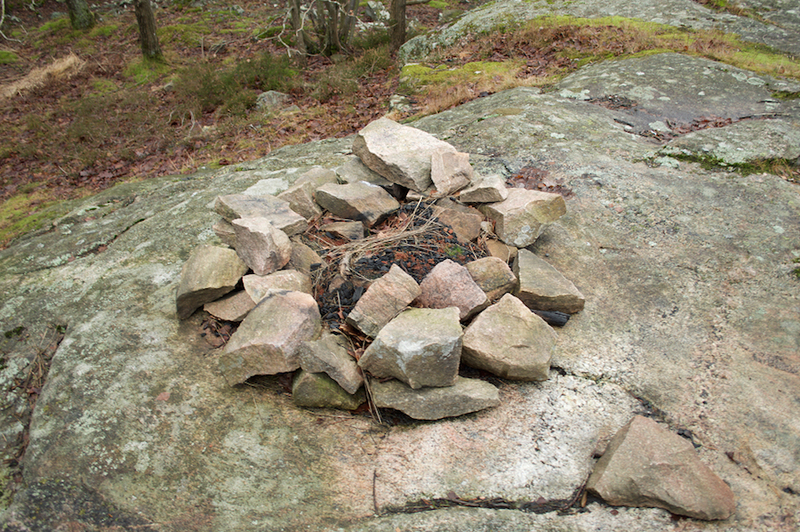 I thought of the meeting place of the campfire as something unchanged over the millennia. After a long day of hunting and gathering our ancestors would gather around the communal fireplace and stare into the flames, perhaps telling each other what they saw. Since the forever-fluctuating flicker of the fire made it impossible to capture a single image, language was necessary in order to record and pass on what was seen. But this was language different from the daily call and response, this was language meant to conjure, describe and transport visions, concepts and imagery. Perhaps language did not arise from the need to communicate, but rather from the need to think. It is through language that we discover what we know, and only secondarily is it a tool of communication and recording. And as the primeval tribes gathered to stare into an open fire at night hoping to see a glimpse of something, so do we stare at our various screens, hoping for the same. While working on the video I watched and listened to the 2-hour YouTube documentation of the Voyager Golden Records assembled by Carl Sagan in the mid-seventies. Within the first 15 minutes there are greetings made in dozens of languages to the disks potentially alien discoverers. It struck me how, understanding only Swedish, English, some Scandinavian and embarrassingly little Dutch, I could never grasp everything that was being said and neither could anyone else on this planet, exempting any language-gifted mutants or A.I.’s. I enjoyed how impenetrable and essentially uncommunicative this made the recordings, but also how wondrous it made them. Like a radio constantly switching between stations, conducting a multilingual choir, all singing the same lyrics in a different melody. 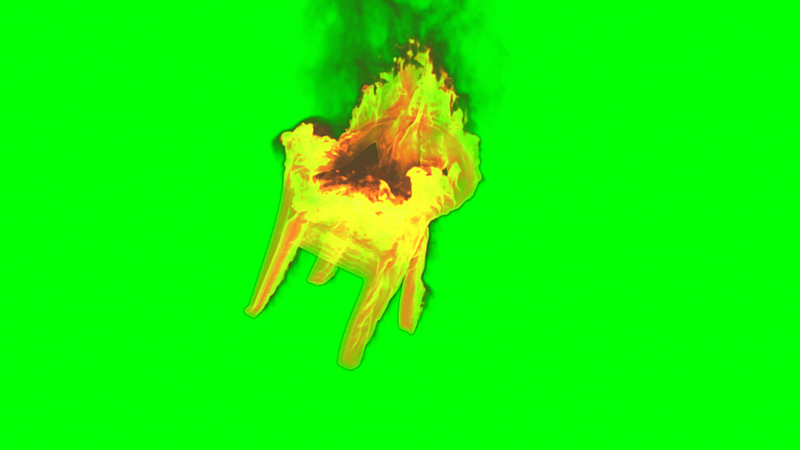 These disembodied voices return in my video Fire Gazing, gathering around the campfire to gaze into the flames in an attempt to draw ideas, images and objects out of the blaze and into our existence; to conjure thought forms. They come from different places and time periods, some quote a seemingly irrelevant part of a Wikipedia article, others an instruction manual or science fiction novel. A Korean woman sees the Venus of Willendorf, a Spanish man sees an MQ-9 Reaper drone, a French woman catalogues the history of the USB cable, a man from Texas sees a plastic garden chair, etc.… Scattered around the scene are Falcon Export and Norrlands Guld beer bottles, Camel Blue cigarettes and Ettans snus, a lighter from Seven-Eleven and an empty bag of OLW Cheese-Doodles. These leftovers temporally anchor and eternally loop the scene of the early morning following a late night up on Whale Ridge.